Engadget Daily: 'Minecraft's' raging success, Apple's secret university and more! No matter how hard companies try and keep secrets, when it comes to trade show floors there's always the risk that someone will snap a picture and steal their thunder. 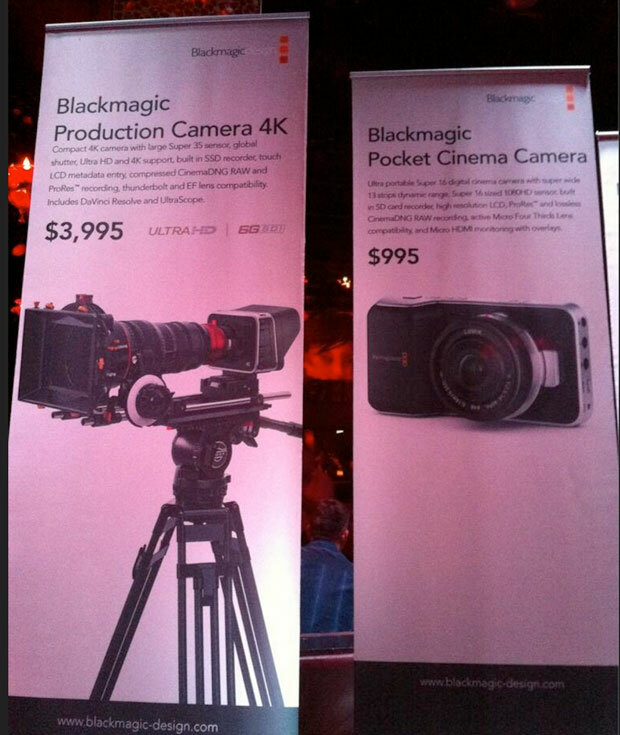 The latest casualty is Blackmagic, which will be announcing both a Pocket Cinema Camera and this, its Production Camera 4K. We're fairly sure that this will sit above its Cinema Camera, offering a bigger Super 35 sensor, global shutter and Thunderbolt connector alongside the SSD recorder, touchscreen LCD and EF lens mount we found on last year's model. When the company gets around to announcing the hardware properly, it'll be available for $3,995 -- low enough to make even the most ardent of DSLR fans think twice.